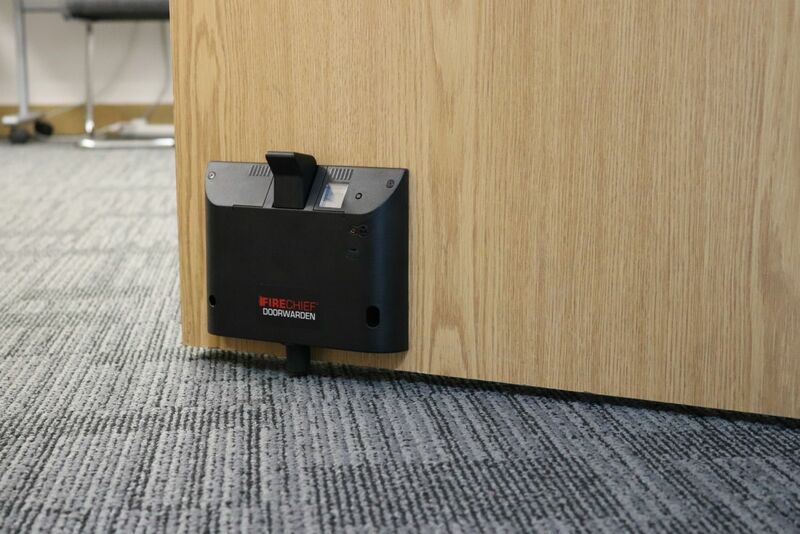 The Firechief Doorwarden is an easy to install, wireless door stop enables the fire door to be legally held open until the fire alarm is sounded. Fully compliant with BSEN115 and accepted by UK fire brigades. The slimline door stop is designed to be discreet and vacuum cleaner proof so it will only close upon the fire alarm sounding.